Go to the Official Pokémon Website for more information! When you awake, you (who were supposed to be human) were somehow transformed into Pokémon. This is a world where only Pokémon live. 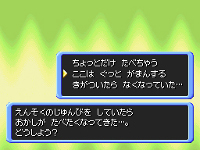 Since you are Pokémon too, you can understand other Pokémon conversations and communicate with them. Why were you turned into Pokémon? Why were you brought to this world...? Seeking the answers to these questions is one goal of this story. 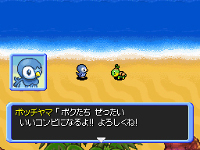 The Pokémon that you, the main character, will become at the beginning of the game will depend on the answers to a few questions asked when you first start playing. 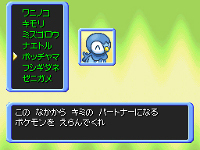 There are 16 types of Pokémon that you can become when starting an adventure, including new Pokémon that appeared for the first time in "Pokémon DIAMOND and Pokémon PEARL" such as Turtwig, Chimchar, and Piplup. Answer the questions honestly! You will be able to start playing as Pokémon that best matches your personality. Your answers to the few questions will decide which Pokémon you will become! The Pokémon you will be transformed into according to your answers is one of 16 types. Five Pokémon will be introduced here. Which Pokémon do you think you will become to start your adventure? You and your partner Pokémon will later form an exploration team together, and help each other to proceed with future adventures. 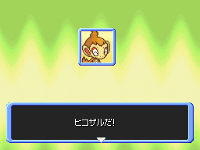 You can choose your partner from several Pokémon at the beginning of the game. Choosing a partner that can cover your weak points will be helpful in carrying on your adventures smoothly. Your Pokémon partner has a certain dream. The partner has always loved folk tales and legends. It is always daydreaming about going on adventures to a land that nobody's been to, or to seek for treasures that nobody's ever seen before. A "Relic Fragment" bearing mysterious marking is your partner's treasure, which it came across one day by accident. 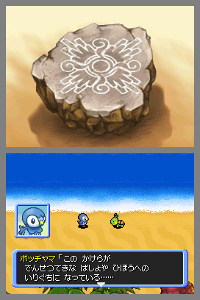 It believes that the mysterious marking is the key to access some legendary land or hidden treasure. Your partner's dream is to one day form an exploration team and discover the place where this fragment makes a perfect fit, to uncover its mystery. Will the day finally come for its dream to come true...? 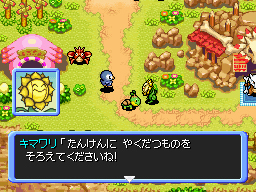 * Images are development screenshots.